I just couldn’t wait for spring. 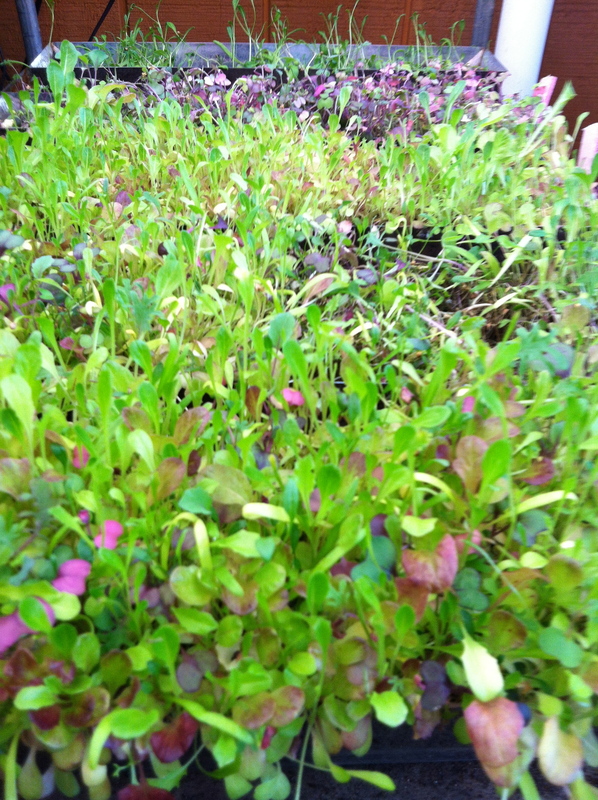 So I started spring lettuces and microgreens under grow-lights just for the fun of it. The results are surprisingly cute and colorful, especially on this arctic cold day. The lettuce trays are for cutting and eating early lettuce. To whet our appetite for spring, if it wasn’t already. I’ll let you know how it tastes. What do you think? This entry was posted in planting, seasonality. Bookmark the permalink.